A couple of months ago, mostly on a whim, I picked up a Fitbit at as early birthday present. Being a brand new mom as well as a sucker for anything that collects data, a fitness tracker seemed like an interesting, and possibly motivating, gadget. Not only could I be dismayed by an actual record of how little sleep I get, I could also be motivated as begin the gradual increase back to my pre-pregnancy activity level. After a couple of months of near constant use, I thought it would be interesting to share my observations on this wearable fitness tracker. My very astute readers were able to correctly discern from my recent post that our first Craigslist purchase here in DC was, in fact, a juicer. 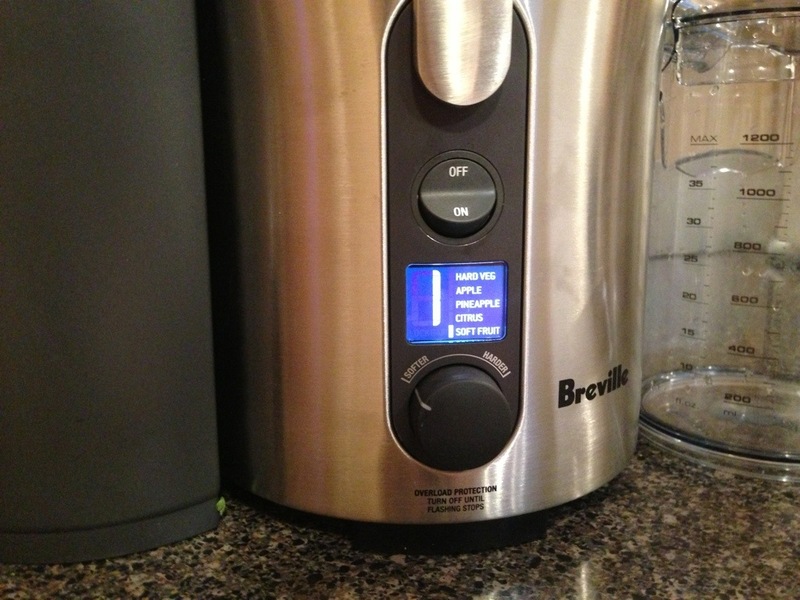 It is a Breville Juice Fountain multi speed (BJE510XL, sometimes called “Ikon”). You can purchase these from many retailers for $199, but we were excited to find one brand new in the box for $100. I have to say that finding huge discounts on brand new appliances has been one of our greatest successes on Craigslist. My favorite purchase of all time was my Blendtec blender, which normally retails for about $400-450 but I got for $250 new in the box. 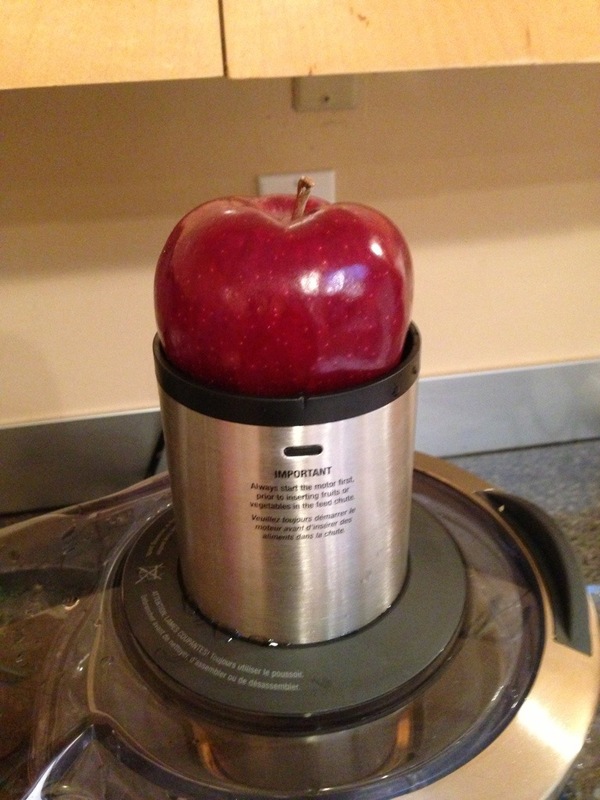 While I’ll mention my blender again in this post, I’ll largely be describing my new juicer today. In the past, we didn’t give much thought to what we ate as far as nutrition. But over the years we’ve become more aware and informed about our food choices and have slowly transitioned out diet to be healthier–i.e. 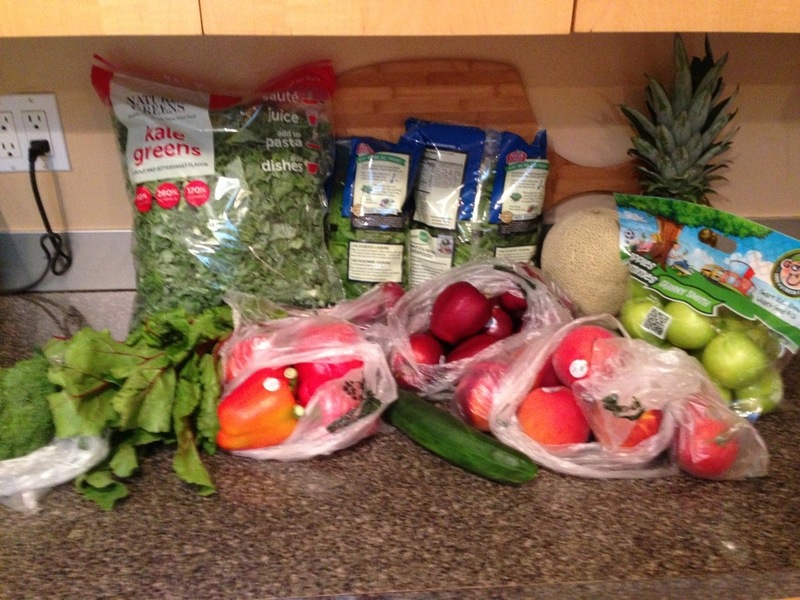 more fruits and veggies and made-from-scratch and less processed foods and sweets. Don’t mistake me: we absolutely still enjoy tasty treats now and again (and maybe too often sometimes 😉 )and I don’t micromanage every meal, but my goal is to make our day-to-day fare ever more nutritious and fresh. Unfortunately, while I know veggies are good for me, I confess that I don’t like a huge variety of them. I’ve gotten better over the years, but some tastes just never quite grow on you. I also run out of ideas for how to cook the same old veggies we do eat. 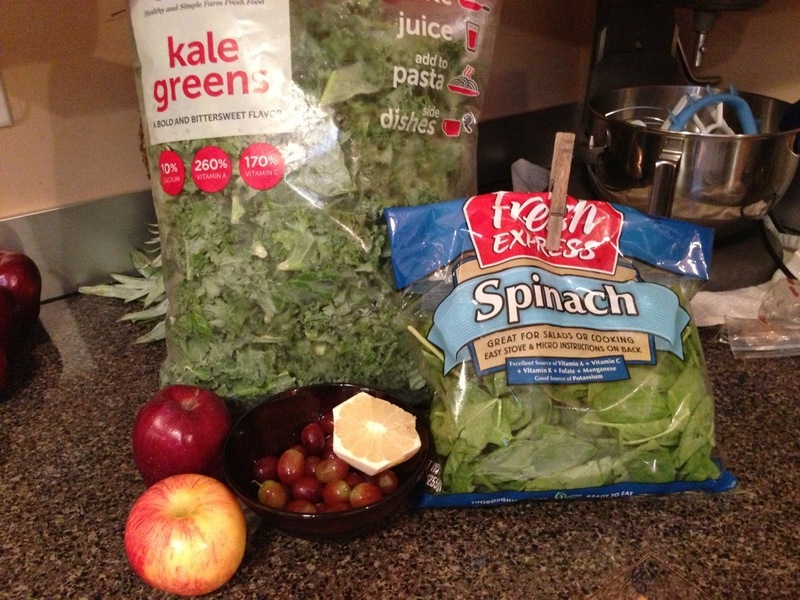 Three years ago, I began making green smoothies as a way to get the benefits of green veggies hidden in a yummy blended fruit mixture. I have one every day for breakfast, hence investing in a specialty blender a couple of years ago; almost seven hundred blends later, it’s been worth its weight in gold. Around that time, Bart and I also looked into juicing. I even purchased a masticating, or slow grinding, juicer (off Craigslist, naturally). It worked great, and the juices were tasty. But I decided I ultimately preferred smoothies, and I eventually resold the juicer (on Craigslist) to fund my blender. However, we’ve recently discussed how we could get more veggies into our diet, and our thoughts turned back to juices as a way of getting the nutrition of a variety if fruits and veggies in a tasty, easy to consume form. After doing a little more research and taking what we learned from our previous experiment, we decided to give it a try again. Hence out recent purchase of the Breville. 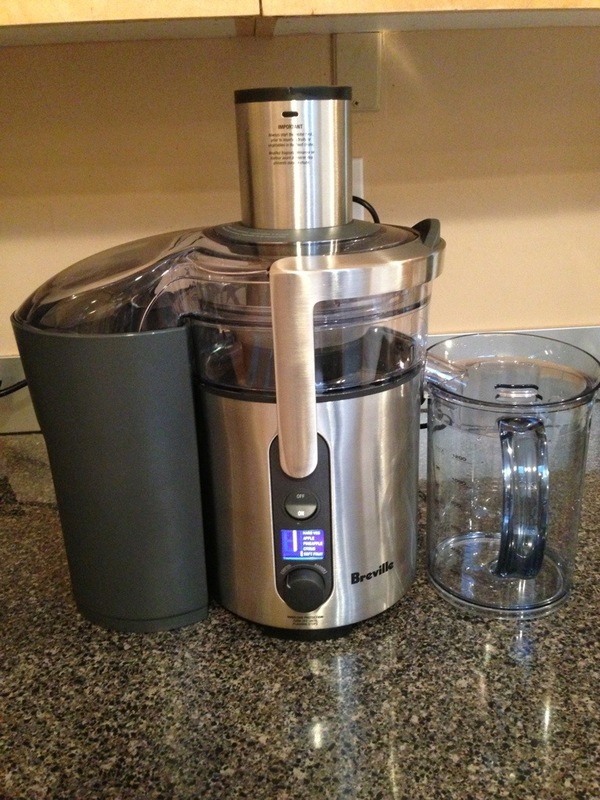 The Breville juice fountain is a centrifugal juicer, which is a different kind than the one we had before. While the slow one essentially mashed juice out slowly, the centrifugal models shred at very high speeds. This kind by nature doesn’t extract quite as much juice and isn’t as good with greens; however, this time we felt that ease of use and cost (masticating models are generally pricier) made it a good choice for us. We’ve had it a couple of days now, and so far we’re pleased with it. 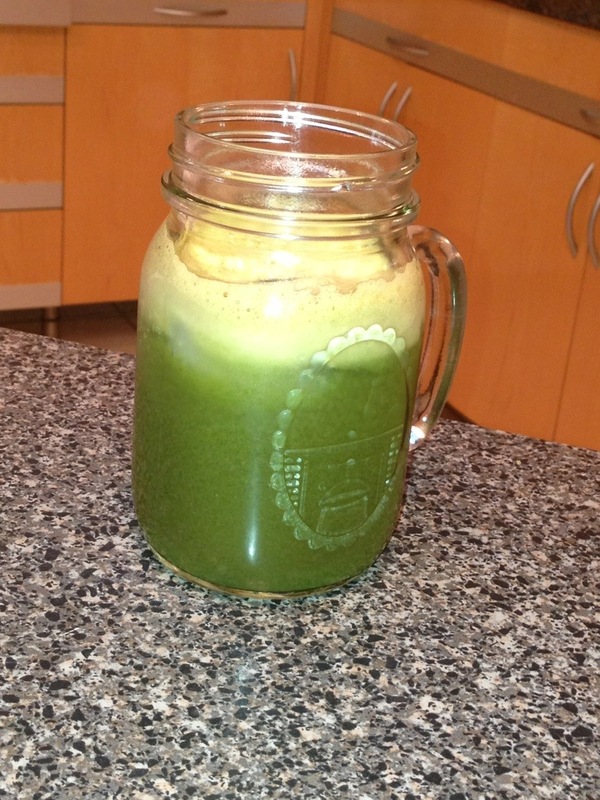 For a centrifugal juicer, it performs very well. This particular model has a variable speed adjustment, so you can set the speed based on the hardness of what you’re juicing. It also has a three inch wide feed tube, which can fit the vast majority of items without having to cut them up. I have found a few apples to be a little wide for it so far, but most of them fit right through. If you’re going to juice, you need stuff to pulverize! This is my haul from Safeway yesterday (and we bought about this much again from Sam’s the day before). I made myself a juice this morning consisting of two apples, half a lemon, a few grapes, and a few fistfuls of kale and spinach. You can see the small relative size of greens to fruit juice here, but I think I can improve the yield by refining my technique. And here’s the final product all mixed together and served in a mason jar (how else would you serve up a beverage for a photo on the internet?). I find that I like my juices over ice to make it cool and dilute it a little; some flavors, like grapes and celery, can be very strong. However, drinking it straight up is totally legit, too. 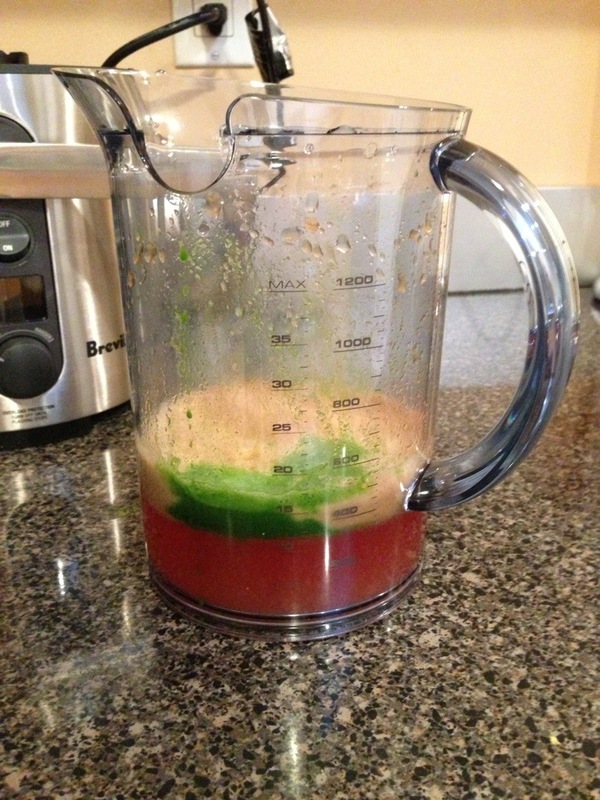 Bart and I have enjoyed our new juicer so far and give it a thumbs up. I’ll share any further insights or delicious recipes in the future. Bottoms up!